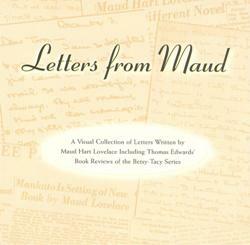 A Visual Collection of Letters Written by Maud Hart Lovelace By Julie A. Schrader. This digital collection of letters was assembled to provide insight into the life of Lovelace when she wrote the Betsy-Tacy series. 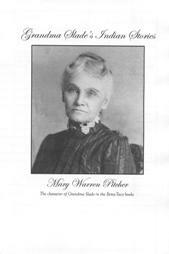 Her letters, all addressed to Thomas Edwards, illustrate the author’s attention to historical accuracy as she recalls her childhood memories of Mankato. Edwards, whose pen name was Willie Putt, was the author of the Betsy-Tacy book reviews written for the Mankato Free Press from 1940 – 1958. Thomas Edwards writes in one of his reviews, “Maud Hart Lovelace is in the process of becoming one of the best accepted of contemporary writers in the field of youth reading.” Letters written by Lovelace to Edwards are from the private collection of the Edwards family. 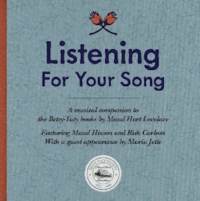 A companion booklet is included with the CD and is a collection of the transcribed Free Press book reviews. Includes reviews written from 1940 – 1958. 18 pp., Spiral bound. Please note that the CD is PC-compatible but will only run on late model MAC versions. 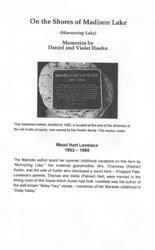 Published by Minnesota Heritage Publishing.